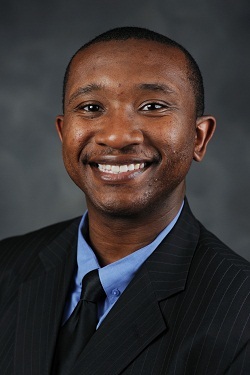 Cedric Pulliam works as a Multilateral Diplomacy Advisor at the U.S. Department of State’s Office of the Global AIDS Coordinator and Health Diplomacy, which leads and coordinates the U.S. President’s Emergency Plan for AIDS Relief (PEPFAR). He received his first Master of Arts degree in International Relations and European Studies from Central European University in Budapest, Hungary and a second master’s degree in German and European Studies from Georgetown University School of Foreign Service. Cedric earned dual bachelor’s degrees in International Studies and Political Science from Elon University. He is currently completing his PhD in Psychology with a focus on Gender and Diversity Studies from Northcentral University. After completing his undergraduate degree, Cedric worked in different capacities at the Department of the Air Force, Federal Highway Administration, Congressional Research Service, US Citizenship and Immigration Services, United Nations, and the United Nations High Commissioner for Refugees. Cedric became interested in international affairs during his junior year of high school when he was afforded the opportunity to study abroad in Dijon, France. “My experiences studying abroad gave me new insight on life and the true meaning of ‘global society’. It instilled within me that not only am I an American citizen but I am a global citizen, and whatever I do in everyday life affects lives all around the world in some way.” During his studies at Elon University, Cedric took his passion for international affairs and travel to the next level by studying abroad in Malta during the spring of 2011. While in Malta, Cedric visited 13 nations and also volunteered at the Jesuit Refugee Services where he taught English to refugee children. These experiences of travelling, volunteer work, and interacting with people of other cultures are some of the many reasons why he is deeply interested in the field of international affairs. Cedric believes that being a part of the Rangel program brought where his true passion lies, to light. Both his experiences studying abroad and participating in Rangel Program, changed his focus into joining the Foreign Service. “This program is not only an enrichment program for the field of international affairs but also for the Foreign Service career. I had not really considered this prior to Rangel Program, and now it’s my number one career choice after I graduate.” He is currently pursuing his graduate studies at Georgetown and working at USAID.